Do you have a hobby that you'd love to turn into a business? Listening to Addi may be just the boost you need to get going! Addi had a hobby blog for several years, but one day, she decided it was time to get serious. Did she ever! In four months' time, Addi figured out how to boost her blog traffic from 10,000 pageviews per month to 100,000 pageviews a month. Now she averages over 500,000 pageviews each month. Addi is a down-to-earth mom – just like you. Listen to her story to hear her best advice – then go make some brilliant moves of your own! 02:56 – Simply Blogging Along… or is it? 14:22 – This is Real Life, Folks! Addi began her first blog, Frugal Fanatic, about three years ago. 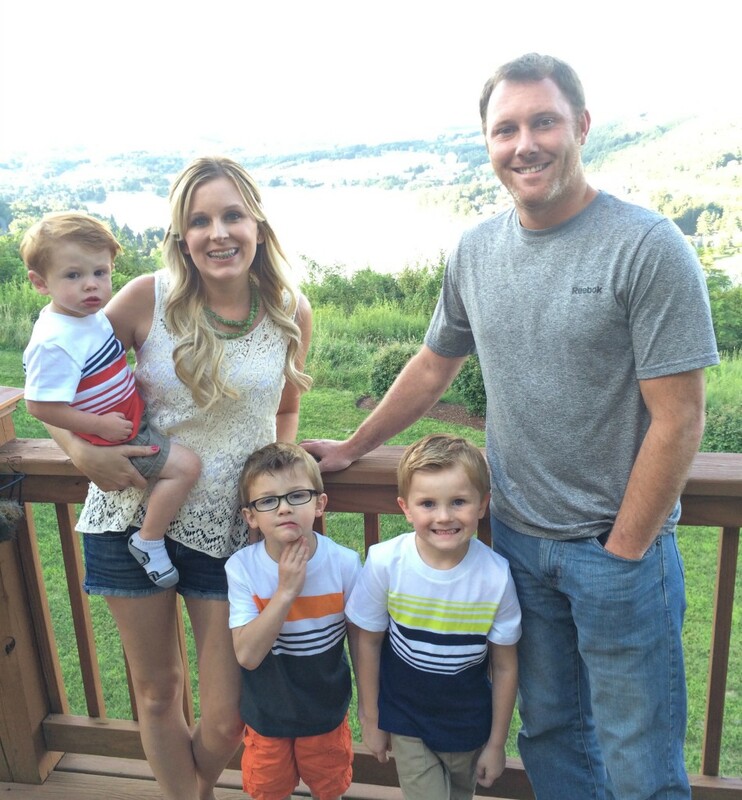 It started as an outlet for her as a new mom who wanted to share about saving money and motherhood. After two years of blogging just for fun, Addi got more serious about blogging and decided to turn it into a real business. She soon found she loved blogging and had a passion for it. Not long after, Simply Blogging Along, her second web site, was born! Simply Blogging Along… or is it? Once Addi grew Frugal Fanatic into a successful blog, she received a lot of questions about blogging and business. Although she wanted to share what life was like as a mom blogger and small business owner, she knew her core readership at Frugal Fanatic likely wouldn't be a fan of her new focus. They were used to content about motherhood and money saving tips. So Addi decided to start a new blog where she could share about blogging and business and Simply Blogging Along was born. We love the title of Addi's new blog, because she shares blogging tips that are honest, and genuine. She's simply blogging along – growing as she goes. 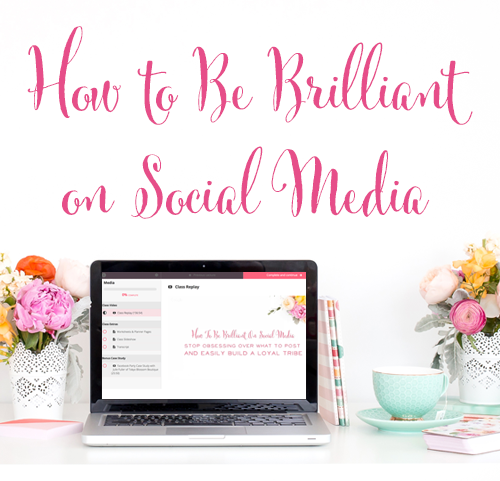 But in other ways, blogging isn't simple at all! Addi confessed that she has found it very tough to run two blogs at once. She forgot about a lot of the little things involved in setting up a new site such as social media and networking with bloggers. We were curious about whether Addi's past experience in successfully growing a blog made growing her new site a piece of cake, or whether it still felt like she was starting from scratch. Addi confessed that while she's a step ahead in terms of the knowledge she's gained from growing Frugal Fanatic, she has found that the challenges in creating a new readership are still there. It's not as though Addi's entire audience at Frugal Fanatic came right over. She did grab a core group of readers, but she still has to work hard to gain new visitors to her site. The other challenge that any site owner will face: getting to know your new audience and serving them well. In order to grow her site, Addi knows she needs to provide her audience with the content they're looking for and not just write whatever she feels like writing that day. Isn't that great advice for all of us? Whether you're brand new or years into online business, you have to get to know your audience well and serve them well. And… if you're thinking about starting a brand new site with a brand new focus, just remember, it will still take a lot of time and work to make it successful. Although building Simply Blogging Along is new and exciting Addi has to remember that Frugal Fanatic is her “bread and butter” so she can't ignore it. Balancing her time between both sites has been a struggle but Addi sticks to a schedule every week that helps her stay on track. Addi has time blocks to work in the morning, during nap time, and in the evening. Addie always uses her evening time block to write (she's trained her brain to do this!) She creates a “must do” task list daily and uses this to guide each time block. 75% of Addi's time is spent on Frugal Fanatic and only about 25% on Simply Blogging Along. This is because her new blog is more relaxed, doesn’t have ads yet, and is growing only as quickly as she allows it. Sticking to a schedule has been the most important way that Addi balances both blogs. Addi used to post 6-7 articles per week on Frugal Fanatic but has cut that down to focus on writing higher-quality posts. Now Addi posts about 3-4 times per week on Frugal Fanatic. 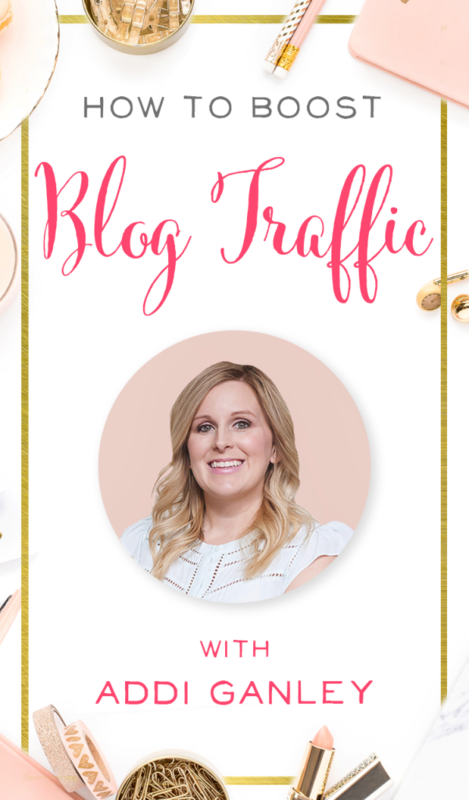 After Addi decided to get serious about blogging, she was able to grow her site from 10,000 pageviews to 100,000 pageviews in just four months! 18 months later Addi now averages about 500,000 page views each month. 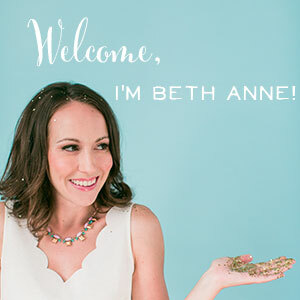 She attributes her fast growth to using Pinterest to promote her blog. 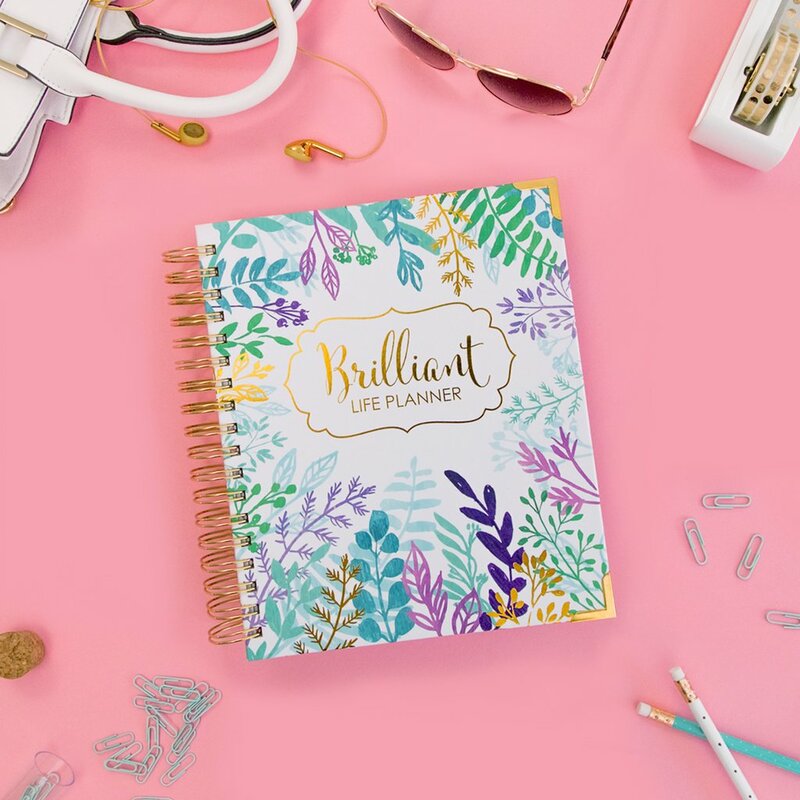 By putting in the time and having a solid plan, she has grown her blog readership and believes others can too. Addi attributes a lot of her growth in traffic to Pinterest. Here's what she does. Put great descriptions into the alt text on your photos. This makes them compelling to someone on Pinterest and is great for those pins getting found more often on the site. Overlay text on your images to make them stand out. Addi has over 31,000 followers and 89 boards for Frugal Fanatic! Although Simply Blogging Along is more focused on blogging and how to make money online, Addi found that it was important for her to include her “mom” life here as well. 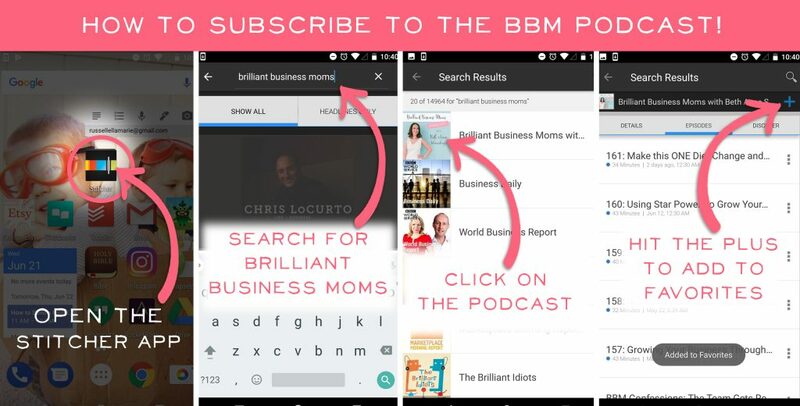 When you're a mom, growing a business from home just isn't quite the same. There's a huge balancing act at play, and Addi knows that struggle firsthand. 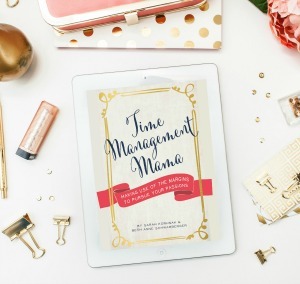 Addi wants to help her audience with their home lives, their parenting, and the entire balancing act of being a mompreneur. And, she wants to acknowledge that although it's tough to be a work-at-home mom, it's very possible! So Addi shares real life. 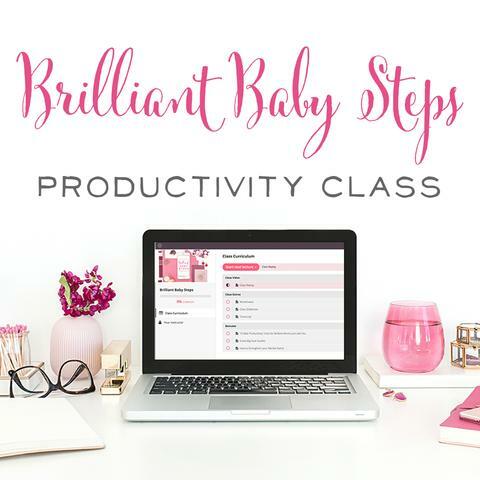 She shows others how she balances running her household, being a mom, and running her business all on Simply Blogging Along. Addi says her kids even help her with her blogs on occasion, and her oldest son now tells people that he's going to work from home when he grows up! Write amazing content! Write something that your readers will not only relate to, but will be compelled to share. Provide value by solving your reader's everyday problems. You may be able to entice someone to click over from Pinterest by simply using a great photo and a catchy headline, but they'll leave just as fast as they came if you don't have solid content to with which to back that pin up. If you want to build a loyal readership and grow your email list, focus on posting less often but posting quality work. 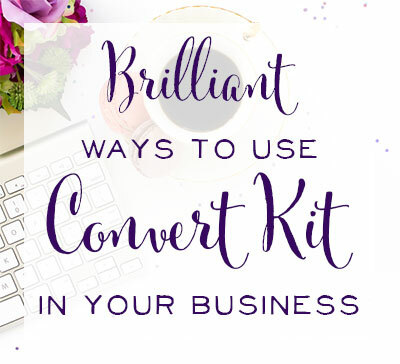 In June of 2015, Addi launched her book, Breakthrough: The Complete Guide to Growing your Platform and Blogging your Way to a Full-Time Income* She shared several things she learned along the way. Develop a clear plan of action. Know exactly how and where you'll market your book, and give yourself plenty of time to take action on that plan. Guest post. Addi guest posted on a lot of related sites. Those bloggers also shared about her book on social media. All of Addi's guest posts resulted in a lot of traffic to her landing page on launch day. Timing Matters. Addi released her book just one month after launching, Simply Blogging Along. So she hadn't had enough time to build up a loyal readership there so this probably decreased her overall sales numbers. We don't usually tell you “you should do this!” We tend to be more balanced in our approach. But in this case… I really think most of you reading this page should sell an audiobook! Listen and read on to figure out why. Addi has made the most sales by selling her book on her own site and through affiliates she works with. On Amazon, Addi's e-book doesn't sell all that well, and she thinks she may need to learn a little more about Amazon SEO. But here's the kicker: Addi has sold about 200 copies of her Audiobook, and that version has only been out for 6 weeks (as of our interview date). At first, Addi never considered selling an audio version of her book, but after getting numerous requests, she's so happy she took the time to create it. She has sold about 200 Audiobooks in just 6 weeks of having it live on Audible* with very little promotion. Addi found a woman on ACX Exchange (her name is Sarah and you can contact her here) and paid her $20 an hour to record her book which was 3.8 hours in length. So in all, Addi paid just under $80 to create the Audible version of her e-book! That included the editing done by her narrator to format the book for Audible. Less Competition. There are so many less search results in any given field within Audible as compared to e-books on Amazon. Compare just 55 results for “blogging” in Audible to 10,435 results on Amazon! Addi's book gets found more often on Audible. Less Price-Gouging. Most Audiobooks are priced at the same level, but on Amazon, an e-book can range from Free to $15! Better Commissions. Audible has a Bounty program, so when you refer a new member who sticks around for 60 days or more, you get a $50 credit. For everyone else, Addi says the commission averages to about 50% of the retail price. So in Addi's case, she can make about $7.45 for each book sale. Easier than you think. You've already done the hard work of writing a book. Why not go the extra step to make more sales? On average, Addi says people on ACX Exchange charge from $15 to $50 per hour of finished audio. Reach more readers. There are some people who are just too busy to consume your book in a traditional format, but they have driving time and chore time to listen to you teach them. Reach more readers with an audiobook. Addie sells her e-books and products by using the Woo Commerce Plug-in on both of her sites. You only pay if you want a theme. Addi paid $30 – a one-time fee- for her theme that she can then customize. Use a sub domain for each blog (shop.frugalfanatic.com for example). This makes the process easier and you'll avoid slowing down your main site. Set up your affiliate program from within Woo Commerce. Affiliates can easily track their traffic, sales, and commissions. Payment Options: You can connect PayPal or credit card payments through Stripe, along with several other payment options such as Cash On Delivery. Woo Commerce also has a landing page template that has lots of short code options so Addi can customize it. It looks the same as Addi's old landing page that she paid for. Shoppers can land on the landing page, or they can click and go straight to the cart. Addi has been testing both options to see which converts better. Overall, it seems like her customers like the shorter option better! Then…we all proceeded to compare and contrast long versus short landing pages, the psychology of selling, and $1,000 courses 🙂 It was an interesting conversation! Addi's embarassing mom moment is something we've all experienced! Oh boy… kids will be kids! Tune in to hear the story!